Illustration, painting and graphic design get fused in spontaneous, chaotic and strident way to wake us up from a sedative and superficial world. Textures and colors wrap us in the visual saturation commonly used to dazzle, creating dreams, desires and insecurity. I was born in Rosario, Argentina in 1977. When I finished my studies in graphic design I moved to Madrid (2000), where I studied illustration, worked as an art director, and started to be linked with collaboratives art projects. It have given me the opportunity to show my work in group exhibitions, some solo shows, books and magazines in different parts of the world. 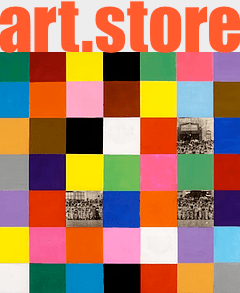 Like: Colors Notebook, intinerant exhibition at Centre Pompidou in Paris, Triennale di Milano and Shanghai Art Museum. And “ROJO®SMART: Open your mind” at Ivaliden1 Gallery in Berlin. Full-time artist and illustrator since 2008.